If you're relatively new to vaping then the Apollo Ohm Go vape pen is one of the best pens to upgrade to from cigalikes, or for new vapers who want to give vaping a good try! The starter kit comes with everything you need and is very easy to use. Simply charge the built in battery, fill the tank with juice and you're good to go! If you’re a beginner or intermediate vaping enthusiast who’s familiar with Apollo products, then you already know about their great cigalike offerings. You may be less familiar with their vaping pens, however, and that’s a shame. Apollo’s focus on the vaping community has resulted in some of the best vape pens in the market today. In this Apollo Ohm Go kit review, we’ll examine one of their more popular offerings, and help you decide whether it’s right for your vaping needs. The Ohm Go vape pen is more versatile than many of its rivals, offering you the ability to use either 1.0- ohm coils or those wonderful sub-ohm coil heads that provide that extra boost of vapor that so many vapers crave. As a result, this pen is perfect for sub-ohm lovers and mouth-to-lung vapers alike. What’s more, it’s a stealth vape pen that won’t draw a lot of attention to anyone who uses it. The kit comes with a great OHM 1900 mAh battery to power usage, and two coils: the 0.5-ohm coil that’s already installed in the device when it arrives and one 1.0-ohm coil that you can switch out to if you prefer. It also comes with a 3 ml Portal sub-ohm tank, one USB charging cable, and the standard user model to guide you through setup and any questions that you might have about your new device. The Ohm Go comes with a self-adjusting battery and offers pass-through charging via its micro-USB charging port. That latter point is an important one since many users get frustrated waiting for their vaping devices to charge. Pass-through charging is becoming more commonplace with these devices, enabling vapers to use their devices while they are charging. For someone on a budget, that can be a vital feature. This is yet another 510-thread product and offers spring-loading connections as you see on all of the best e-cigarette products. It also uses the common and standard 5-button-click to power on and off and has an LED light that tells you when the battery is charging. The device also comes with a number of important safety features, including short-circuit safeguards, protection against low voltage and overcharge, and bottom plate vents. In our tests, we found this to be a solid, serviceable device that should be a nice entry point for anyone who is transitioning from Cigalikes to vape pens and mods. It would also be a great option for smokers who are trying to quit since it produces more vapor than the average disposable e-cig. 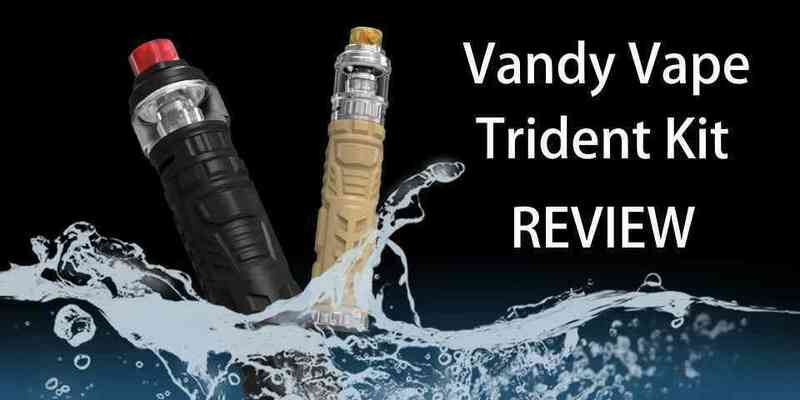 There are several key drawbacks for more advanced vapers, however, so let’s cover those before moving on to any discussion of the device’s best features. First, the 1900 mAh battery could be a problem for serious vaping enthusiasts. While it is advertised as being a 50W device, we think that estimate is extremely generous. In our tests, we were able to generate roughly 30 watts on a consistent basis. That’s enough to push out a moderate amount of vapor – which should be sufficient for most beginners and intermediate cause vapers, but nowhere near what most advanced enthusiasts will expect. That battery is also unlikely to last you for an extended period. Pass-through charging capability might help to lessen that pain point, but it won’t erase it entirely for most serious vapers. That power output issue has an unfortunate side effect, of course. We did see some pretty impressive vapor production, but we were somewhat put off by the lack of flavor purity. To be sure, the taste is still light years ahead of Cigalikes. However, it doesn’t begin to compare with the pure taste offered by the best vape mods today. Granted, that is not going to be an issue for most beginners, so your mileage may vary. On the other hand, this device could be just what beginners need to move beyond cigalikes or traditional tobacco cigarettes, so for example if you tried some of the best ecigs to quit smoking and want to move onto something a little more power without blowing your mind, then this may be perfect! The vapor production is admirable, and the taste is superior to anything we’ve encountered in disposable form. The reduced power output makes for a slightly cooler vaping experience, which may appeal to many beginners who are often surprised by the heat that more advanced mods often generate. Add to that the tank’s great design and durability, and you almost certainly have something that should appeal to most newcomers to the vaping world. One thing we would like to add which Apollo actually mention on their site too is that this device is really meant for people to use with mouth to lung inhales, you can learn more about the different types of vaping here. With this type of vaping we suggest going no higher than a 6mg strength of e-juice, ideally around 3mg, although this sounds quite low, the amount of vapor this device uses makes up for the shortfall of nicotine. In short, this is a serviceable vape pen that will be a great option for its target market. That market does not include more advanced vapers, though – so it’s important to understand that before making the purchase. We were sufficiently impressed with the Apollo Ohm Go to recommend it to beginners and other newbies, as it should meet all their vaping needs.